The connection between gum disease and conditions like heart disease and diabetes seems to be growing more related as study after study reveals how periodontal disease, even at early stages, can affect our overall health. If that weren’t enough, a recent study from the Department of Oral and Maxillofacial Surgery at University Medical Centre Mainz in Germany published in Head & Face Medicine, (December 9, 2013) reveals there may be a connection to oral cancer as well. Wouldn’t it be great if there were an oral rinse that could that could easily detect oral cancer in its early stages? Researchers from the University of Miami, Miller School of Medicine, in collaboration with Vigilant Biosciences, say they may have such a low-cost testing alternative to detecting oral cancer available in the next 2 or 3 years. This simple and painless test could potentially prevent a majority of patients from being diagnosed in the later stages of the disease where cure rates are only 40 percent. Most of the time oral cancer is discovered far too late, when it has already spread to the lymph nodes, requiring radical and many times disfiguring surgery to treat. Close to 42,000 American will be diagnosed with oral cancer this year alone. It currently causes approximately 8,000 U.S. deaths per year. Larry Hagman, renowned TV actor who rose to fame playing J.R. Ewing in the television series “Dallas” and who also portrayed Major Nelson in the comedy series “I Dream of Jeannie,” passed away due to oral cancer. 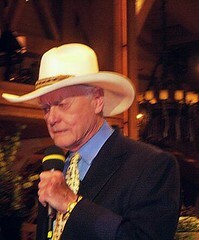 This wasn’t Hagman’s first bout with cancer. Known to be an excessive smoker and drinker, Hagman was diagnosed with liver cirrhosis and developed a cancerous tumor. He received a liver transplant in 1995. He eventually became a chairman for the American Cancer Society’s Great American Smokeout. Following the transplant he also supported the National Kidney Foundation and promoted organ donation. According to the Oral Cancer Foundation, 40,000 Americans will be diagnosed with oral and pharyngeal cancer this year. Of those diagnosed, the foundation estimates that 57 percent will be alive in five years. Those odds are not great, and the number has not improved in recent decades.